Superstar Salman Khan has got reprieve from Mumbai High Court, as it suspended session court's 5-year sentence handed to the actor in a 12-year old hit-and-run case. Khan's family and his millions of fans have gone berserk and celebrating the relief order of the court. Khan, can surely be termed as the democratic hero of India because his fan following cuts across every starta of society, be it a labourer working in a Dhaba or a software engineer working for an MNC. He has spread happiness across the world. The man has a heart of 'gold' as he has helped many newcomers build their careers, but if somebody draws his ire then it becomes difficult for him (not just newcomers!) find work in industry. Just a day before his 49th birthday, Salman's fan clubs across social media sites have gone crazy to show their love for him. Micro-blogging site Twitter is flooded with Salman Khan hashtags, so if you happen to log in for some news update, that won't be of much use! 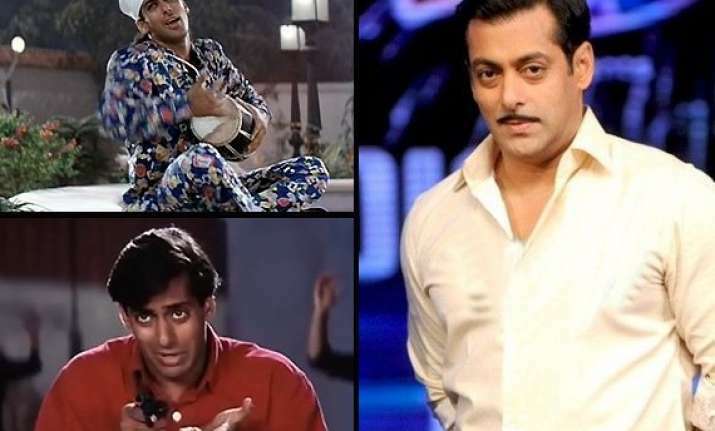 Here's a compiled list of Salman's different cinematic avatars that would definitely tickle your funny bone and of course prove how he can tame any genre! Previous StoryIPL is just an Indian League? After reading this your opinion will change! Next StoryThey are not actors, but 'Real Heroes'!